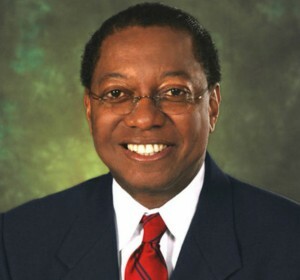 While telling the Baton Rouge Rotary Club that “We are better together” at noon Wednesday, Mayor-President Kip Holden was secretly plotting the unprecedented takeover of the St. George Fire District. St. George is an independent, non-political fire protection district that serves more than 70,000 residents of unincorporated areas south and east of the Baton Rouge city limits. At Wednesday’s Metro Council meeting, the routine reappointment of three members of the St. George Fire District Board of Directors took on unexpected controversy when Holden’s floorleader on the Metro Council, John Delgado, nominated three different individuals from the floor. Delgado admitted that he had been working behind the scenes to get the three elected. If St. George wins its incorporation fight, fire protection services would continue to be provided by the St. George Fire District. Mayor Pro-Tem Chandler Loupe and Council Joel Boé, who represent the St. George area, were outraged by Delgado’s actions. Normally, appointments on fire district boards are the prerogative of Metro Council members representing the district. During the Council meeting, Mayor Pro-Tem Chandler Loupe said the substitute appointments were part of an orchestrated attempt by the Baton Rouge Fire Department union to take over the St. George Fire District. Only the names of the three incumbent St. George board members appeared on the printed ballot. However, Delgado had planned to nominate three insurgent candidates to replace them by majority vote of the Metro Council. The three insurgent nominees for the St. George Fire District Board were nominated by Council members Delgado, C. Denise Marcelle, and Donna Collins-Lewis. However, when the matter came to a vote, no candidate received the required seven-vote majority. As a result, the election of St. George board members will come before the Council again at the next meeting on Jan. 22. The incumbent members of the Board will serve until new members are approved. Delgado said he is upset because St. George firemen have been supporting the incorporation of the proposed City of St. George. Amoroso said the St. George Fire District Board of Directors passed a resolution expressing neutrality on the incorporation vote.